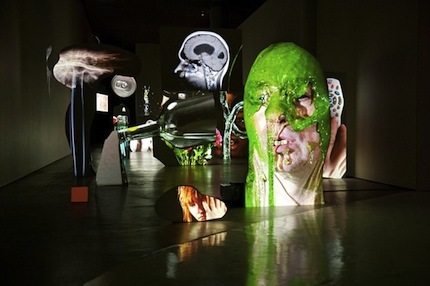 Tony Oursler (1957), called “the Picasso of video art” by his peers, is a New York-born modern artist whose creative works have grown along with the development of video technology. With his sense of humor, child-like inquisitiveness, playfulness and intellectual mind, the bibliophile Tony Oursler creates works that become ensnaring mind-games. What makes Oursler's work click is an ideal balance of horror, insanity and a refined cleverness. A perfect opportunity to see how he does this is to go see “Face to Face”, a retrospective of Oursler's creative work (including many new pieces created especially for the show) being held at the ARoS Art Museum in Aarhus, Denmark, through July 29. The name of the exhibition describes the position of the viewer in relation to the works on display, because the whole show is based on the main subject of Oursler's oeuvre – the human face. In his numerous videos, projections, sculptural objects and installations, the human face appears without ears or hair – as far removed from the rest of the body as possible – so that all of the emphasis is on the face's expression, its nuances and psychological weight. In the author's own words, the face is like a connector between the body and the mind, between the physical and spiritual sides of the personality; it is a dynamic reflection of all of the previously mentioned elements. The face creates empathy between the viewer and the piece of art, thereby becoming a psychological trap, because addressing someone so directly requires the viewer to take a stance – which is exactly what Tony Oursler wants. In his works, a profusion of grimaces appear on soft doll-heads, beneath a tipped over recliner, along the expositions' viewing path, and elsewhere. The faces may be clipped, with a basic detail removed (like an eye, nose or mouth), but nevertheless, a whole and telling image of a persona remains in the viewer's consciousness. The show has been set up in the exhibition hall of ARoS in a way that pulls the viewer into a slightly schizophrenic, fun and fantastic world that is decked out with impressive video equipment. The exhibition is sectioned into two parts, one of which, with its narrow white corridors and vinyl-padded walls, resembles a clinic. Dark labyrinths, lit up at intervals with Oursler's video-projections, make up the second part. 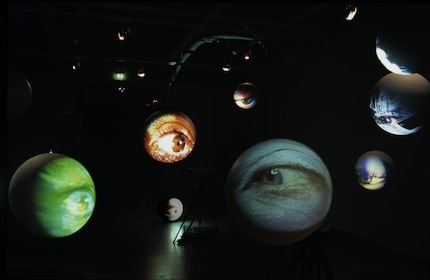 Tony Oursler's body of work can be divided into three main periods: video recordings and installations from the early 1980's to the 90's; projections created in the 1990's; and public projections that have been made in the last decade. He has also periodically turned to sculpture, performance art and painting. 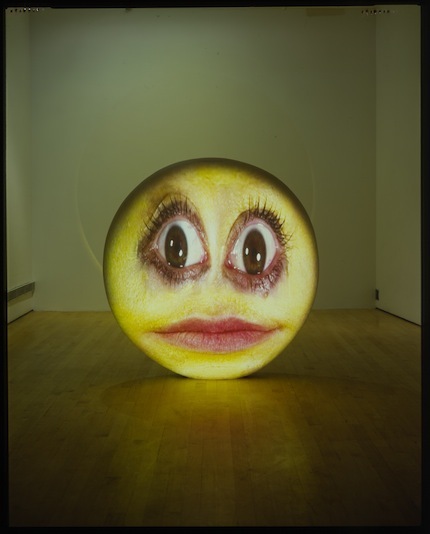 Oursler is a graduate of the California Institute for the Arts (1979) and has had solo shows all over the world, including MoMA in New York, the Pompidou Center in Paris, and the Tate museum in Liverpool.